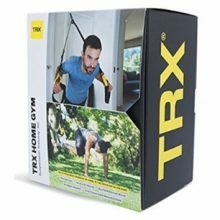 Instead of going for a boring book or dull DVD how about you get a useful gift that will not only make your friends, family and loved ones smile but will also help them get fitter too? We’ve picked out our top goodies for the gym junkies and fitness fanatics to help you make their 2019 the fittest year yet! No gym plan, no programme, little time? No problem! With these fitness dice, you can work out anywhere. There are three different sets: beginner, intermediate and advanced with 30 exercises per set. Simply roll the exercise dice and then the numbers dice and you’ve got your first exercise with how many repetitions you need to perform. Slow-cookers are changing the way how we cook. It’s not surprising that they’re so popular: they slash food prep time, they make cheaper cuts of meat taste delicious and melt in the mouth and they’re cheaper than using an oven. 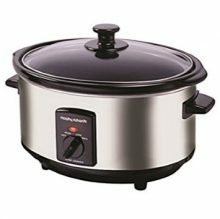 This slow cooker from Morphy Richards is one of the top-rated on Amazon and costs less than £35 too. It’s ideal for making tasty high protein stews and casseroles is a must-have kitchen appliance this winter! Muscle pain and feeling sore after a workout is not cool! A foam roller is a fantastic bit of kit to ease your aches and tightness after a tough workout. The technical term for foam rolling is Self Myofascial Release (SMR) and it’s so effective because no one knows better than you as to exactly where you are feeling tense, exactly where you need relief and exactly how much pressure you need. 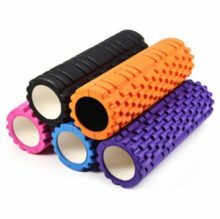 The Fit Nation roller is great because the nobbly bits on the roller really help you work into tense areas, easing muscle soreness and improving your recovery. We love FitBits! They’re definitely our favourite fitness gadget and are idea for anyone who wants to make fat loss easier [Related: 5 Reasons Why A FitBit Will Help You Lose Weight]. 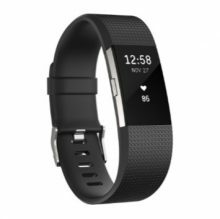 Fitbit now do a huge range of products from £49 all the way up to £199. But we think without a doubt, one of their best products is the Fit Bit Charge 2. It tracks everything that you need: steps, distance covered, calories burned, your heart rate and it also has the sleep tracker. It is extremely versatile, discreet and very stylish for a wristband. More and more people are ditching the supermarket in favour of going online to get their weekly protein-packed meat rations delivered to their doorstep. MuscleFood are one of the largest online meat suppliers in the UK and will deliver everything from freshly butchered steaks, to premium chicken breasts to exotic treats like ostrich and kangaroo. Their range is extremely high quality, considerably cheaper than the supermarket and arrives on at your house in around 24 hours! 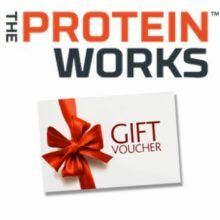 They’ve got a range of vouchers which would make an ideal gift for any protein-loving foodie. If you want to improve something, you need to log it! 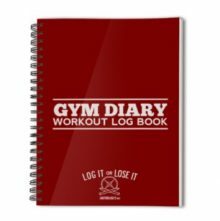 The Gym Diary is a perfect gift for any gym junkie who wants to keep note of their training programmes and strength increases. It’s laid out very well, there’s room for over 100 workouts and it`s handy A6 size means it doesn’t take up too much room in a gym bag. Don’t have access to a microwave at work to heat your lunch? No problem. 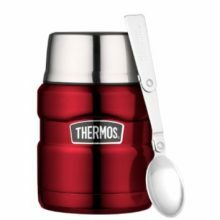 This Thermos Food Flask is fantastic! It’s wider than a typical flask, it’s perfect for keeping meals piping hot so you can have a tasty, hot meal for lunch instead of a soggy, cold stew. Food stays hot for hours and the foldable spoon is a convenient addition. There’s almost 2000 reviews for this on Amazon, it’s a popular one for sure! They’re a must-have for anyone who has a home gym or for people who want to train in their own living room. 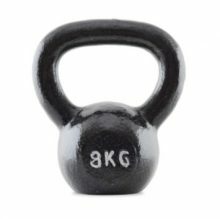 From 4kg to 32kg there is range of weights suitable for all abilities. 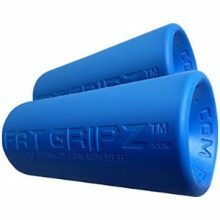 Fat Gripz are a great accessory, loved by gym-rats that help increase arm growth and grip strength. The rubber handles are easily attached to any set of dumbbells, a barbell or pullup bar and are used in gyms all over the world. Favoured by many professional athletes and bodybuilders, training with a fat bar is reported to increase muscle activation and improve strength and size gains. 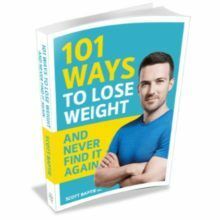 Scott’s new book is for everyone who is sick of restricting, dieting, detoxing and confusing weight-loss advice. The book contains clear, enjoyable and easy-to-follow habits that will help you to get leaner, fitter, stronger and happier without the hunger and heartache. It debunks all of the fat-loss myths and includes encouraging, scientifically proven ways to make small changes to your lifestyle for long-term health and sustainable weight loss. Trying to create a gym at home can be expensive and it can require a lot of room! Dumbbells don’t come cheap and you can only really have one or two pairs before you start to run out of room. That is unless you get some adjustable dumbbells. 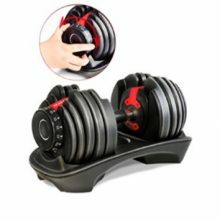 The adjustable dumbbells from Sportstech are an amazing piece of kit that have 15 different weights in one dumbbell ranging from 5kg to 32kg. The weight change mechanism is simple and easy to use. It doesn’t matter how small your gym space is, you can now enjoy a full range of weights with this ingenious set. Available in a variety of denominations, these protein packed vouchers can be used to purchase any products from the The Protein Works website. TPW are our favourite supplement company at the moment because of their range of products, quality, price and delivery speed. 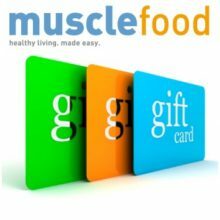 From protein powders to multivitamins, these gift vouchers are the ideal gift for anyone who trains or takes supplements. Bodyweight exercises are fantastic for improving full body strength and mobility. From push / pull movements for the upper body to lower body exercises using the feet anchors, suspension training can provide a complete body workout from your own home. The set can anchor on to doors, poles and trees so you can train in your own living room or outside in a park too. OK, OK … we may be a little biased on this one so we will just lay out the info for you to make your own minds up. 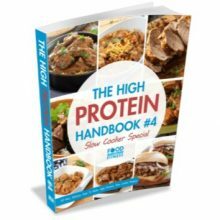 The High Protein Handbook 4 – Slow Cooker Special includes: 30 brand new, delicious, easy to make high protein slow cooker recipes; full nutrition information for each recipe including calories, carbohydrate, fat and protein; A varied mix of chicken, pork, beef and turkey recipes; Beautiful full colour photo for every dish; A rock solid 30-day money back guarantee; and a barcode on every recipe so you can scan the meal into MyFitnessPal. The post 14 Healthy Christmas Gift Ideas For Fitness Fanatics appeared first on Food For Fitness. Previous Is Diet Coke Bad For You?